“From there to here, and here to there, funny things are everywhere.” – Dr. Seuss. A laugh a day will keep the doctor away. Yes, I know this is a modification of the old saying “an apple a day…” Laughter, though, has many health benefits! It relaxes the whole body, boosts the immune system, protects the heart, burns calories, and helps you live longer. Laughter also plays a key part in dissolving distressing emotions, so add laughter to your stress management toolbox! Visit www.humorthatworks.com. This is a resource I often recommend. The website’s author, Drew Tarvin, provides work appropriate resources to lighten things up. I’d encourage you to check it out! 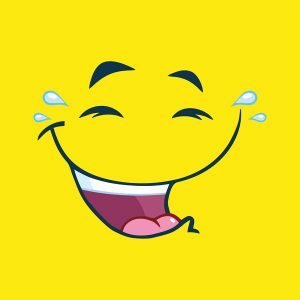 Consider learning laughter yoga. Look it up on YouTube. It is an effortless way to combine the benefits of laughter and exercise. Order “An Anatomy of an Illness” by Norman Cousins. It is his personal story of using laughter to combat a life-threatening illness. He literally laughed himself to good health. I’d love to hear what ways you use laughter in your life! Please share below.